President’s Trump’s proposed 2020 budget is a testament to broken promises, failed economic policies and upside-down priorities. After ramming through his 2017 tax cuts that gave nearly $2 trillion mainly to the wealthy and big corporations, Trump now wants working families to pay for them with huge cuts to Medicare, Medicaid, Social Security disability benefits, education, housing and more. 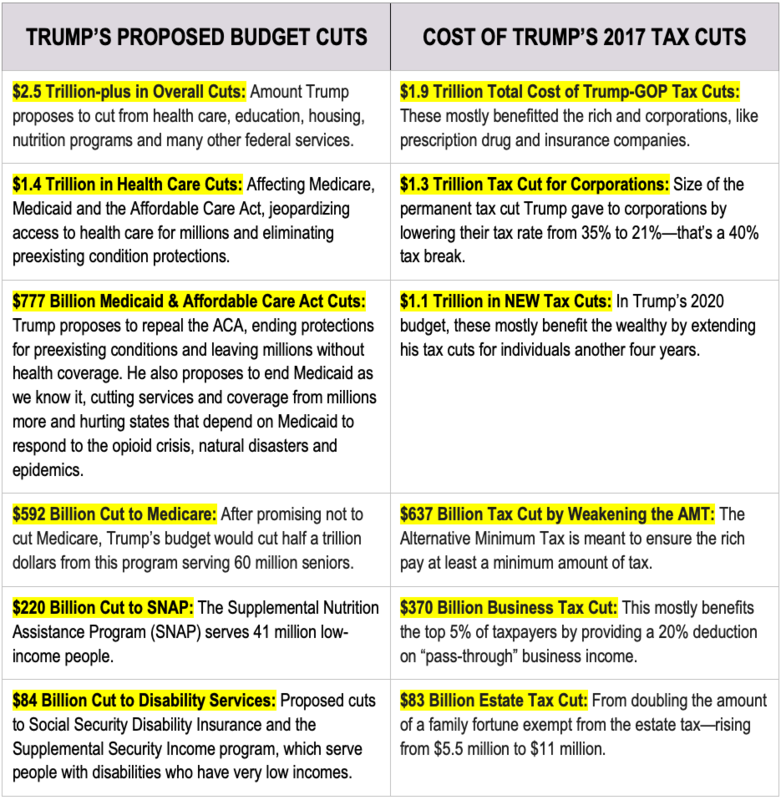 On top of that his budget proposes another $1.1 trillion in tax cuts mostly benefiting the wealthy, also paid for by slashing services for working families. The table below illustrates how Trump’s proposals hurt working families to make the rich and corporations wealthier.